Appleton Attorney Andrew J. Rossmeissl of Herrling Clark Law Firm, Ltd. has been appointed Chair of the Appleton YMCA Board of Directors. "Andy is not only a sharp business litigator, but a man who is genuinely committed to making our home community the best it can possibly be," says Senior Partner Greg P. Curtis. Herrling Clark Law Firm, Ltd. is proud to announce that Partner Andrew J. Rossmeissl has been named Chairman of the Appleton YMCA Board of Directors. Rossmeissl’s term as Chair will run through 2017. “The Appleton YMCA has been an important part of my own life for some time. The Y reaches more and more people every year and it’s exciting to be a part of that effort,” says Appleton Attorney Andrew J. Rossmeissl. The Appleton YMCA, established in 1888, is a branch of the YMCA of the Fox Cities. For over 120 years, the YMCA of the Fox Cities has brought together communities within the Fox Valley region. The mission of the YMCA is to foster collaboration between individuals from diverse social and economic backgrounds by providing an inclusive, cooperative, and Christian foundation. The YMCA positively impacts the lives of over 60,000 people each year, providing children with crucial life skills and core values, which help to safeguard the integrity of family life and local neighborhoods. Andrew J. Rossmeissl is a partner at Herrling Clark Law Firm, Ltd. 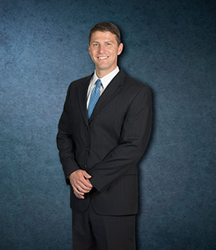 He joined the firm in 2005, and concentrates his practice in business law, real estate law, and municipal law. Rossmeissl is an experienced business litigator but also handles a wide-array of transactional matters. His practice also includes appellate work, both in state court and federal court. Rossmeissl has been selected as a Super Lawyers Rising Star for six years since 2009. This honor places him among the top 2.5 percent of attorneys who meet the criteria for Rising Star consideration He is also an AVVO “Top Rated Business Law Attorney” and “Top Rated Contract Law Attorney.”. Rossmeissl earned these ratings based on exceptional client reviews and peer recommendations. Rossmeissl is an active member of the American Bar Association, State Bar of Wisconsin, and the Outagamie County Bar Association. Outside of his legal practice, Rossmeissl is a dedicated community steward, devoting a substantial amount of time to various programs and services in the Fox River Valley. He enjoyed years serving as a Mock Trial Coach at Xaiver High School in Appleton, and he currently sits on the Ambassadors Board for St. Elizabeth Hospital. Rossmeissl is also a long-time member of Rotary International. Herrling Clark Law Firm, Ltd. holds a legacy of courtroom success that includes over 200 years of collective legal experience. The firm represents individuals and businesses throughout the Fox River Valley from offices located in Appleton, Green Bay, Oshkosh, and New London. The dedicated team at Herrling Clark Law Firm, Ltd. is trained and equipped to successfully handle even the most complex legal matters that may arise. The firm has been voted “Best Law Firm in the Valley” for 12 consecutive years. For top quality legal representation in Wisconsin contact Herrling Clark Law Firm, Ltd. today at 920-739-7366 or visit http://www.herrlingclark.com for more information.